Review: 'We had drugs, we had booze' is what perhaps receives the biggest ovation on this live album taken from a 1976 Neil Young American tour. The 22-track album includes live recitals of all-time classics "Heart Of Gold", "After The Gold Rush" and "The Needle & The Damage Done", but sadly, no "Rockin' In The Free World" this time round. 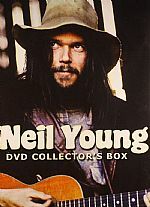 Neil Young devotees will also be pleased to learn of "No One Seems To Know", a number that has not appeared on any other official release. Just like a live concert too, the most entertaining parts of this album are usually heard between the songs, with Young joking that this could last as long as George Burns' cigar. 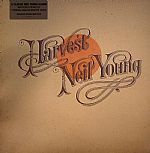 Review: We've had more Neil Young compilations thrown our way over the years than many of us care to remember, but only one really sticks in the mind, and it's this one. 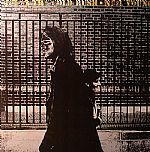 Originally released in 1977 and chronicling the period in which Young went from being a simple member of Buffalo Springfield to one of the most heralded North American songwriters of the late century, and comprising work from that band alongside Crosby Stills Nash and Young, it's studded with delights aplenty. From the extended guitar sprawl of 'Down By The Ocean' and 'Cortez The Killer' to poignant balladry like 'After The Goldrush' and 'Helpless', no-one captured the dreams and hopes of the hippie generation in quite the way Young did, and this collection is a magnificent testimony to his most fertile and heartwarming era. 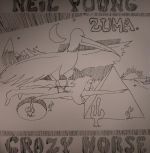 Review: Following the indignant and charged agenda of 2016's 'Peace Trail', Neil Young has changed tack in releasing this fascinating collection of unheard material. As opposed to his usual polemical protest, 'Hitchhiker' provides refreshing and necessary solace from the increasingly insane zeitgeist. 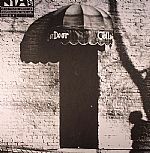 Recorded over one night in 1976 with Young's then-producer David Briggs, this previously unreleased set is thoroughly engaging through its purity and presence. The closeness with which the two worked together is audible through Briggs' intimate production, and this rediscovered gem serves to prove Young's continuing relevance and could provide an engaging introduction to a new generation of fans.